Bill Bernhardt is the head fishing guide at Lopstick. Bill is an avid fly fisherman, he is also an outdoors enthusiast. He began his fly fishing journey at the age of 8, when he caught his first fish on a fly. 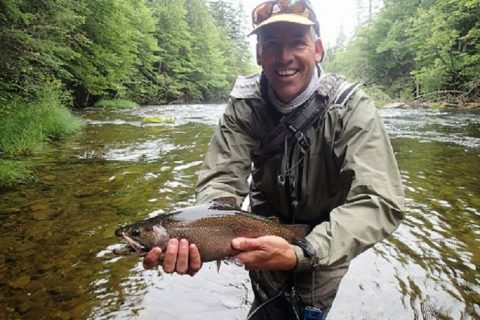 Shortly after moving to Mount Washington Valley, Bill became a registered guide with the state of New Hampshire in 1994, and started working at the local fly shop, guiding and exploring the local waters. Bill became the head guide at the Futaleufu Lodge where he spent his winters guiding South America’s Chilean Futaleufu Valley. His passion for fly fishing has drawn him to Pittsburg, NH. He has been working for Lopstick for 15 years, where the constant cold water and salmon runs provides some of the best fishing in the state. Following the move to Pittsburg, Bill met and later married his wife Emily. Bill and Emily currently reside in Pittsburg with their two boys. Bill is a devoted fly angler, who is willing to cast a fly at anything that swims. He can be found drifting the Connecticut River as well as the Androscoggin and down Littleton for large Pike. Bill has also designed a variety of the flies sold at Lopstick. Bill Bernhardt is a patient and knowledgeable guide who is always looking for the next challenge. I’ve been lucky enough to fish with guides a dozen or so times in my life. Float trips are always a special treat, but Bill went way above and beyond on this one. Bill is flat out a pro – just a top guide all around. I had originally booked to fish the Upper Connecticut, but Bill was leaning towards the Androscoggin, and explained his rationale, so I willingly agreed. He had every little detail down and wouldn’t let me help with a lot of stuff. I brought two rods and he brought two more. We ended up using one of my rods for nymphing and one of his for dries, and we fished dries most of the day. His rod, only a 3 weight, cast like a dream and our double caddis fly combo was deadly. We started the day getting rainbows, but as we got downriver, we picked up more brookies, plus an occasional brown, small mouth, or chub. Every time I got a knot or a tangle, Bill fixed it. When I was thirsty, he had drinks. When it was lunchtime, we beached the boat, and Bill served some appetizers while he put together a salad and grilled me a steak. I’m used to a guide bringing a sandwich, a cookie and a bag of chips. This was a different world. We fished 6+ miles of the Andro and I never once made a fly selection. Bill knew what to use, and we had continuous action on dries and nymphs. The nymphs produced the biggest fish, and the dries produced the most. He always knew where I should be casting, and often detected the strike before I did, especially with nymphs. While we ate lunch, I was watching some fish work the surface on the other side of the river. Because of the current, getting there was going to be a challenge, But, after we finished lunch, Bill did the hard rowing to get us upstream and then over to those fish. In 15 minutes, I touched 8 fish in that little spot. His extra effort just to get there was very much appreciated. In the end, we touched about 50 fish, hooked about 30 and boated 20+ fish. The biggest was a 17″ rainbow. We missed the eastern grand slam (brown, rainbow, brookie, and salmon) by a salmon, but they are fairly rare in this river. But, just catching the other three species in a single float was pretty special. Bill is one of, if not the best, guide I’ve ever fished with. I can’t wait to do a trip like this again next year. One other note. Bill is a guide that understands it’s not just about putting you on fish. He was also teaching all day. I’m a ski instructor, so a guide of sorts in that industry. So, I understand the teaching part of the business. Bill got me on fish, but even though I’ve been fly fishing for almost 40 years, at the end of the day, I was a better fly fisherman than when I started the day. Float trips can seem pricey. But, when you factor in the cost of the boat, the gas, the insurance, the guide’s time, the materials (he didn’t like the condition of one of my leaders, so he changed it out with one of his. That’s a $10-$12 cost and I offered him one of my leaders, but he used his own. He checked out my fly selection before we started and he “approved” what I was taking. But, we ended up fishing his flies all day. All those expenses add up. I tipped him about 30% and I honestly feel like it might not have been enough. 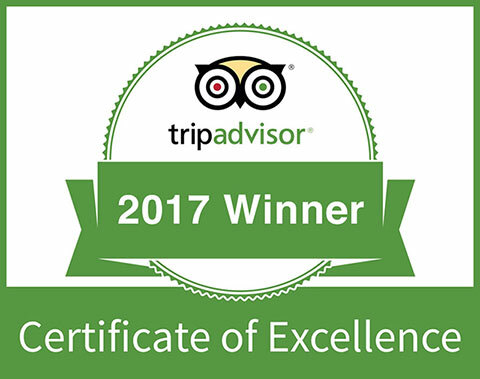 Just a top notch experience in every way. I will definitely fish with him again. I’ve fished with a number of guides who should spend a day with Bill to see how a true pro runs a guided day of fishing. Just fantastic, start to finish.